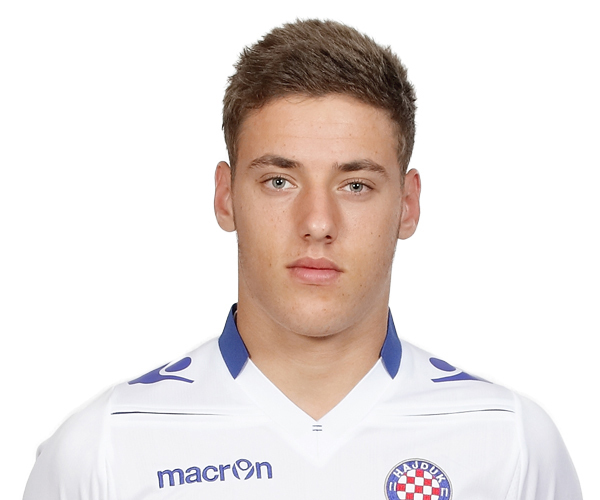 Nikola Vlasic is a revelation of this season’s Croatian league. He’s made his debut in the Hajduk first team on 17th July 2014 in a UEFA Europa League second qualifying round against Dundalk FC and has already scored, becoming the youngest player to appear for Hajduk senior squad and their youngest ever scorer. Nikola comes from a very sport-oriented family. His father, Josko, was a decathlon player, while his sister, Blanka, is a famous high jumper. Nikola is on the radar of scouts from all over the world – recently, Tottenham became interested. However, it seems that the best thing for his career would be to stay and play for Hajduk. His father is of the same opinion. Nikola is also a Croatia U-18 international. “Vlasic has been dubbed ‘the next Luka Modric’ – which gives an indication as to the talents of the youngster.